Finding the perfect wedding hairstyle is a big deal. Plenty of pictures will be taken, so the hairstyle you choose will last a lifetime. The hard part is narrowing down the perfect options since there are so many variables to consider. Depending on what you want to achieve with your hair, the earlier you start planning, the better off you’ll be since you can adjust your quality hair care routine as needed. 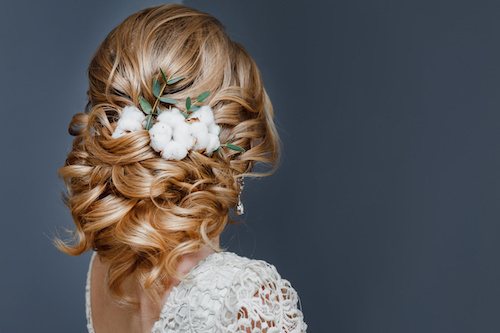 You’ve got plenty of things to think about during your wedding planning adventure, so let us help you with some tips for planning your wedding day hairstyle. One of the most overlooked aspects of planning a wedding day hairstyle is factoring in whether it’s taking place outdoors or indoors. You have many more hairstyle options with an indoor wedding since you don’t have to worry about the weather elements playing a significant factor. If you have an outdoor wedding planned, then you’ll need to invest in the perfect hair products for Remy hair to ensure your hair remains styled perfectly the entire day. 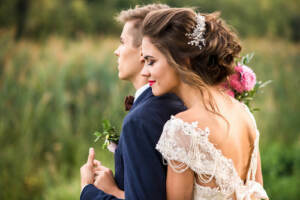 An outdoor wedding also means you may want to opt for an updo so the hair won’t be sticking to your neck or back as much due to the humidity. Regardless of what wedding hairstyle you choose, you owe it to yourself to try it out ahead of time and experiment with different hair products for Remy hair. You don’t necessarily have to wear it for several days or weeks, but you need to know what it looks like. 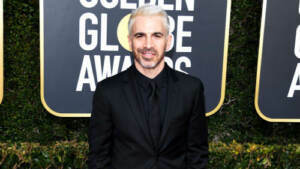 Even if you take a picture of your desired hairstyle for your stylist, it may not end up looking like you expected it to. 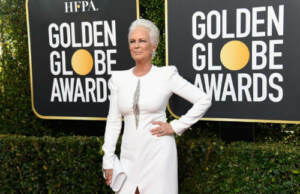 Knowing this ahead of time can allow you to make adjustments to your quality hair care routine as needed until you end up with a picture-perfect style. You may have used the same hairstylist for years, but sometimes a tough decision needs to be made to use a different one if they aren’t able to deliver on the wedding hairstyle you want. The perfect wedding hairstyle you choose may take a little more expertise. The hairstylist you choose will be there with you on the wedding day, so being comfortable with them is essential to make the day go smoothly. RemySoft enjoys working with both men and women to find the perfect hairstyle for their big wedding day. We always recommend switching to a sulfate free shampoo several weeks prior to the wedding to ensure the hair is strong and healthy enough to be styled in different ways. The earlier you start planning, the more prepared you will be. And we are here to answer questions you may have every step of the way, so feel free to contact us at any time. There may not be a more beautiful hair type than natural waves. If you’re lucky enough to have them, then you owe it to yourself to take the best care of your hair as possible. You may have learned a few quality hair care tips and tricks as you’ve experimented with your hair. Wavy hair is pretty easy to maintain for the most part, with the main goal being to preserve the natural waves. Here are some simple tips to incorporate into your quality hair care routine to ensure your waves always look amazing. Wavy hair needs to always be hydrated and healthy. Otherwise, you may experience lifeless or frizzy hair as a result. A lot of this comes down to the type of shampoo and conditioner you use. It’s important to always use a great sulfate free shampoo and conditioner so you won’t strip all of the natural oils from your hair with every wash. Sulfate free products are much easier on the hair and do just as good when it comes to cleaning it. Conditioning it regularly will also add moisture so your hair will always look shiny and full of life. 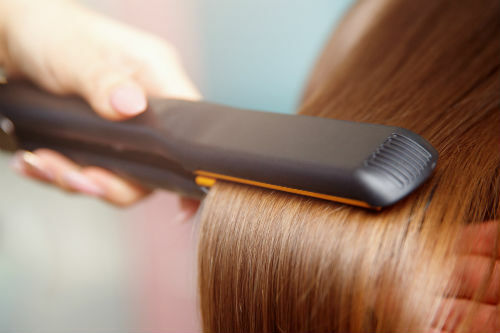 The less you have to use heat tools, the better the overall health of your hair will be. Air drying your hair is easy to do, but it does require some time. You can speed up the process a bit by dabbing the hair with a soft towel or an old cotton t-shirt to remove the excess moisture. Using heat tools or rubbing your hair dry with a towel can cause unnecessary frizz and make it much more difficult to maintain. Air drying is a quality hair care technique many people are opting for due to the great results they get. We understand heat tools have to be used sometimes when you’re in a pinch for time. If it’s necessary for you to use them, then incorporate hair products for Remy hair that will protect it at the same time. A good heat protectant spray will go a long way in protecting the hair and keeping your natural waves. Also, make sure your hair is completely dry before using any heat tools since wet or damp hair can be damaged quickly when heat is applied. At RemySoft, we want to make taking care of your hair as easy as possible. Whether you need the right hair products for Remy hair or if you’re unsure if you’re incorporating the right techniques, we’ve got you covered. Your naturally wavy hair is likely envied by many people, so you owe it to yourself to take great care of it. Never hesitate to contact us at any time for more tips on how to do it with ease. Do you sometimes struggle with dull and lifeless hair? If so, you aren’t alone. 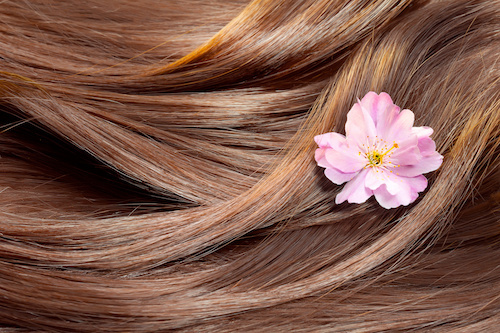 There are many reasons why your hair may look this way. It could be because of the climate you live in, the hair products you use, the hair care techniques you incorporate or even genetics. 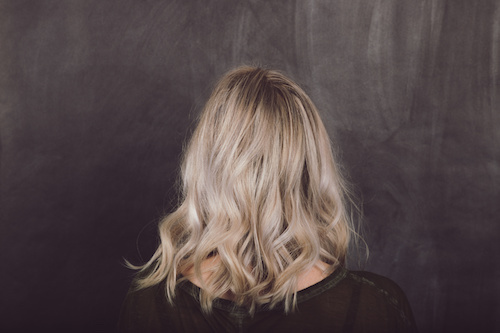 However, with a few changes to your quality hair care routine, you can slowly transform your dull and lifeless hair to the shiny and healthy hair you’ve been wanting. Here are four tips to help get you started. A common misconception is thinking washing your hair more will make it shinier. The truth is the more you wash it, the more you’re stripping the natural oils from the hair and making it harder for the body to catch up in producing enough. So if you wash your hair every two days, skip a day and wash it every third day instead. And be sure to use a sulfate free shampoo and conditioner to further protect the hair. Simply skipping a wash occasionally may slowly give you the results you desire and you’ll notice the shine being restored after a week or two. Once you’ve used your sulfate free shampoo and conditioner, rinse it out with cold water instead of warm water. The cold water seals off your cuticles better in order to reduce the amount of frizz you experience. Then be sure to dab your hair dry with a microfiber towel if possible to further protect it. These steps are often overlooked but are critical in maintaining shiny hair. The wrong hairbrush could be damaging your hair with every stroke. A good brush will have natural bristles that are as gentle on the hair as possible. The natural bristles also help spread out the oils from the roots of the hair all the way through the ends. One of the most common quality hair care questions we get is how to prevent oily roots, and using the right hair brush and brushing technique is often the answer. If you regularly use heat tools, investing in a good protective hair serum is essential. 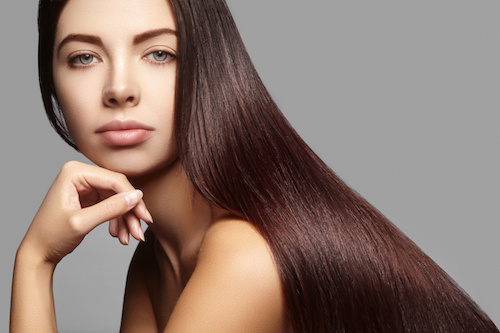 Heat can damage hair quickly and make it virtually impossible to keep sleek and shiny. 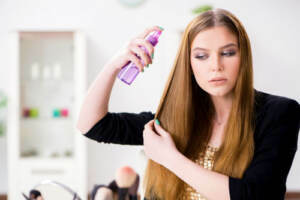 While it’s always a good practice to minimize the use of these tools as much as possible, using a protective hair serum at the very least is recommended. It will help prevent brittle hair, which can lead to breakage, frizziness and dull hair. RemySoft can help restore the shine in any hair type. We’ve learned plenty of quality hair care tips and tricks over the years and we are always happy to pass them down to our customers. 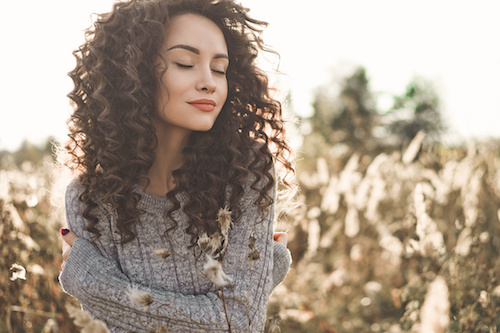 Having shiny hair that’s full of life can transform your entire mood to an extent, and these four simple tips can help you get there. For more tips and tricks like these, don’t hesitate to reach out to us at any time. Is There a Right and Wrong Way to Air Dry Your Hair? There’s always going to be a debate about which technique is better: air drying or blow drying hair. 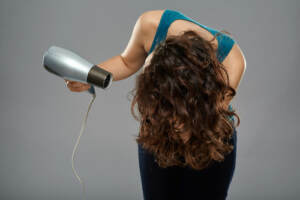 Both techniques have advantages and disadvantages, but when it comes to keeping your hair healthy and free from potential damage, air drying is the way to go. This is especially true if you wear hair extensions frequently, which can damage much easier. Whether you’ve been air drying your hair for a while or are going to give it a shot for the first time, here are the steps to take to ensure you achieve the best results. Squeezing out as much water from your hair as you can before you get out of the shower will speed up the drying process tremendously. Many people make the mistake of just squeezing out the water and then not touching their hair until it dries. The problem with this is you may experience some frizziness you didn’t expect. One of the best ways to combat this unwanted frizz is to apply a hair serum, like a leave in conditioner, as soon as you squeeze out the excess water. This will help keep your hair tame as it slowly air dries. Patting your hair dry may seem ineffective and not nearly as effective as rubbing it with a towel, but it’s the key to getting the best results. Rubbing the hair with a towel can create an excessive amount of frizz, as well as damage the strands. When you pat the hair, use a softer towel than you would for drying off your body normally. Then wrap it up and let it dry as long as you need to. 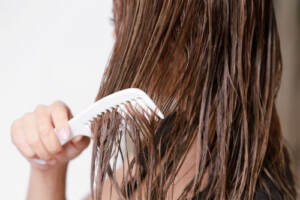 Once you let down your hair, detangle it by using a wide-tooth comb and brushing from the ends to the roots. The comb you use is just as important as the hair products for Remy hair you have, since the hair is still likely going to be a little damp when you use it. Damp hair is prone to breakage, so a wide-tooth comb will create minimal friction. 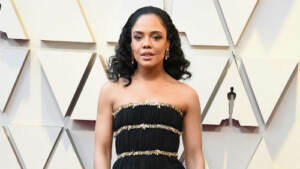 Once you’ve done that, your patience has paid off and you’re finally ready to grab your favorite hair products for Remy hair and style it how your heart desires. At RemySoft, we believe the best hairstyles come from having an attention to detail, rather than simply the use of products. Of course, a good leave in conditioner has plenty of value, but it can’t be a substitute for a quality hair care routine. We are a big supporter of air drying hair, so we hope these tips will help you the next time you choose to do so. If you have any questions or would like more tips like these, feel free to contact us at any time.